Hi there. 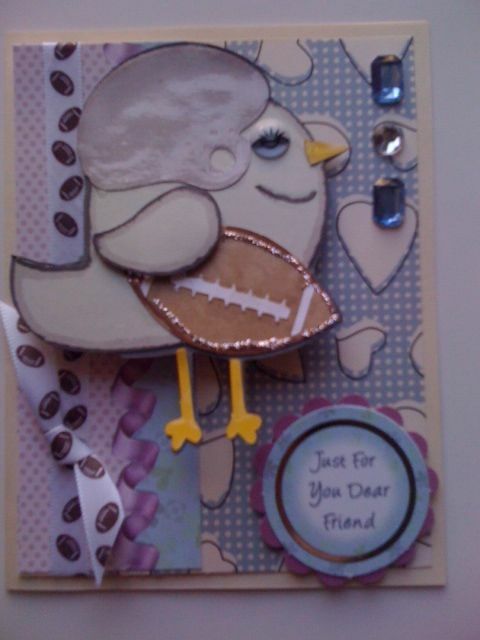 It's Linda from TheTulipCollector and it is my day to post at Action Wobbles today and with Superbowl Sunday just days away I made this sweet little card for a friend who is not really a fan. In our house FOOTBALL IS LIFE...the rest is just details. We watch football, we attend games, hubby coaches youth football and we always have or attend a huge party on SuperBowl Sunday. This year a California team is playing so I will be rooting for them. Not as a fair weather fan but defending our state!! Go 49ers!!! This football birdie is from 3 Birds on Parade. 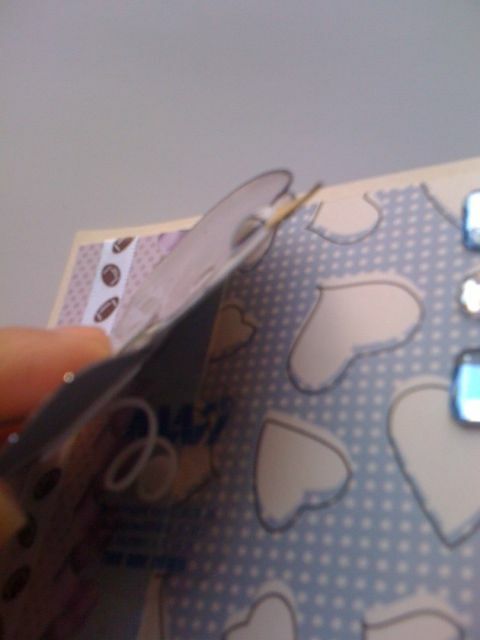 I purposely chose soft colors of lavendar and blue because it is going to a non-fan with no team color preference! I used Glossy Acccents on the helmet so it looked realistic and added some wiggly eyes and gems to go with the little football ribbon that always makes its' way out this time of year! Have you gotten your Wobble on yet? Now head on over to Theresa's Shop to get some of these, they are super fun and add just the right personality to your project. Hi I don't like this card, as Football is totally different in the UK! So isn't it baseball? Or perhaps you can correct me? But i love the wobbles! 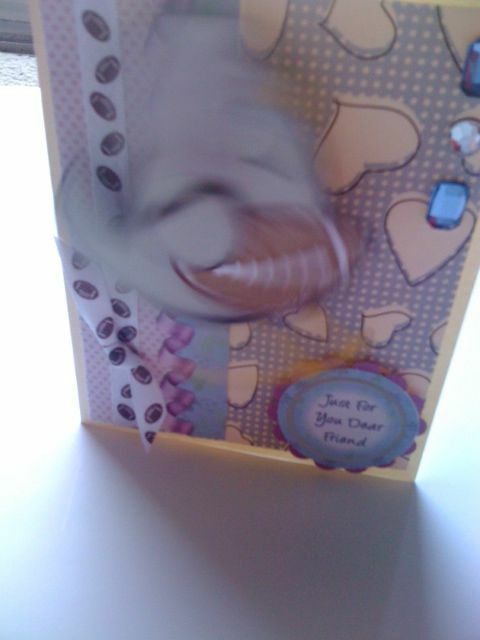 I am sorry you didn't like my card Mary. Perhaps if the wording were to include UK Soccer. That is more similar to USA Football. Glad you love the wobbles. Love it my dear friend!